Prime Minister Brian Mulroney hosted former U.S. President Ronald Regan in Quebec City March 17, 1985 - an event that is called the Shamrock Summit. The two leaders and wives Mila Mulroney and Nancy Reagan sing along to the song 'When Irish Eyes are Smiling' at the evening's gala. Former prime minister Brian Mulroney says he’s still recovering from his 80th birthday bash that took place in Florida over the weekend, which saw him sing a duet with Michael Bublé in front of more than 100 influential friends. Mr. Mulroney said his wife Mila planned the surprise party which was held at Club Colette in Palm Beach. He said that unfortunately he found out about the surprise when Mila accidentally sent him an e-mail with some of the details of the event – but what he didn’t know was that Mr. Bublé would be there. Mr. Mulroney was in Ottawa on Tuesday as the featured guest of The Prime Ministers Series which is intended to educate and inspire policy makers and public servants. After delivering a speech and taking questions from attendees, Mr. Mulroney spoke to The Globe and Mail about his party, and how surprised he was to see Mr. Bublé, given that he had watched him on the news performing in Detroit just the night before. “So, I knew that there was no chance of him being there,” he said, “until he was. 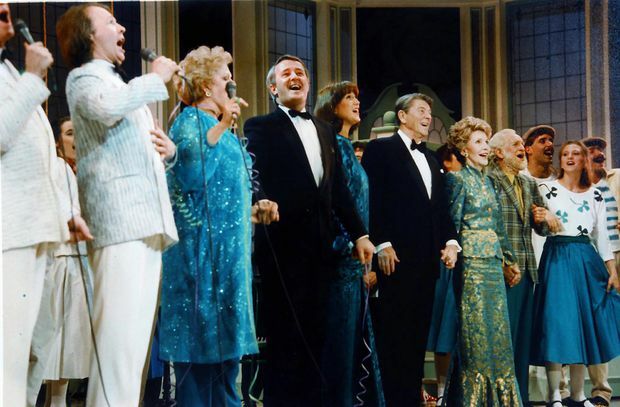 Mr. Mulroney is not shy of the stage – in 1985, he famously sang When Irish Eyes are Smiling with former U.S. president Ronald Reagan. He said his guests were wowed not only by Mr. Bublé’s performance – but also by music producer David Foster, who kicked off the event. “The family, the kids, the singing, the sing-alongs, and the fact that Foster’s such a wonderful guy and Bublé … our guests, they were blown away,” he said. Mr. Mulroney said his four children, Ontario Attorney-General Caroline Mulroney, TV host Ben Mulroney, Mark and Nicolas all attended and delivered tributes. Ben’s wife Jessica posted a video on Instagram of Mr. Bublé and Mr. Foster performing as guests surrounded them, swaying and singing. “The family didn’t know what to get my father in law for his birthday, so we thought @michaelbuble singing his favourite Elvis song with @davidfoster might do the trick. When it comes to In Laws, I won the lottery. Happy Birthday MBM,” she wrote beneath the video of the pair performing Can’t Help Falling in Love. Mr. Mulroney said Jessica helped conspire with Mila to keep him in the dark of their plans. And for his part, Mr. Mulroney also spoke, delivering a tribute to Mila, and giving shout-outs to friends. “I said this is the first time we had a big party in Palm Beach and George Bush didn’t come … I told a few funny stories about him,” he said of the late U.S. president George H.W. Bush. Guests included U.S. Commerce Secretary Wilbur Ross, Canadian billionaire Charles Bronfman, Home Depot co-founder Ken Langone, writer Sally Quinn, executive chairman of Barrick Gold Corp. John Thornton, and tennis greats Chris Evert and Martina Navratilova. Mr. Mulroney’s actual birthday isn’t until March 20.